NASA’s social media is one of the better examples of how you can use online social platforms to build a community. 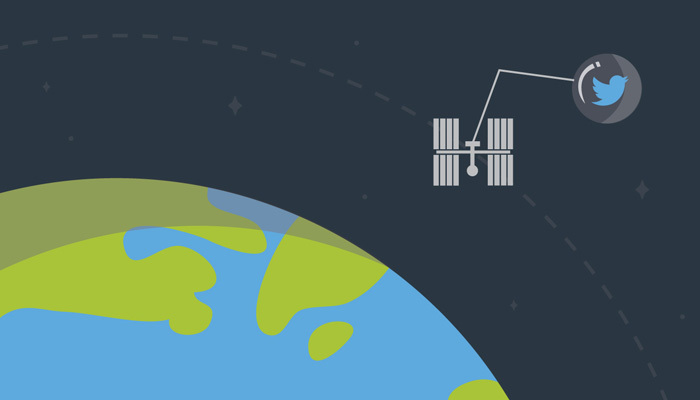 Posts from the agency spark real conversations in which thousands of users from across the globe discuss space exploration. If you are unfamiliar with NASA’s social media, they coordinate hundreds of social accounts for different missions and astronauts across multiple platforms. 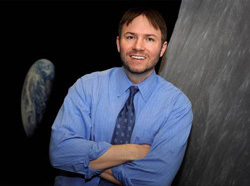 John Yembrick, the head of NASA’s social media recently held an AMA session on GrowthHackers. During the session, he talked about what goes into their social media efforts and how they reached these amazing results. We asked John a few more questions about how he works, how he views social media and what he thinks about the future of these platforms. – What are the top three tools you couldn’t live without when organizing/managing NASA’s social media channels? Honestly, the three tools we use the most are Email, telephone and meetings. These are still the most used by our team. Every social media user across the agency has access to these tool. Every week we have a teleconference with our social media leads from our 10 field centers across the agency. And we send email updates out to all of NASA’s social media users with new guidance, tips and best practices. As we’re a huge operation that spans hundreds of accounts across 14 platforms, we need the ability to share assets and organize posts on a content calendar, which we also share with the team. We do use an enterprise social media tool at NASA that helps with engagement, listing and reporting. This tool is still fairly new to NASA, but we’ve learned that the more people who are integrated, the better we’re able to coordinate and improve reporting to see how our content performs. – When posting a new story/update, what are the reactions you are looking for? What is a perfect release for you in terms of the response you get? There isn’t a set of responses that would determine success of a post. Two important things we look at are audience and reach. We believe that space exploration can connect with everyone if framed the right way. But there are still certain demographics we care about, such as young people. If we can post something that may inspire a young girl to pursue a career in science, technology, engineering and math, then we’ve done our job. – Which metrics do you use to measure the success in social media (for example user engagement, number of clicks/likes etc.)? When can you tell that something worked good on social media? Different people at NASA use different metrics to determine success based on a variety of factors. For our team, we really look at shares. It’s not just that people saw your story, but did they interact with it? When someone shares something with their friends and followers, it says to us that they liked it so much that they want others to see it. Also, when this happens it often exposes our content to a new audience, and that’s one of the most important things for us. – Let’s talk about the future of social media a bit. If simply posting on social media and participating in conversations is the 1st step, getting users involved with AMAs, Twitter Chats and platforms like Periscope is the 2nd, what is the 3rd step? What do you think we can expect in the future from your social media and social media in general. Now that we’ve gotten people engaged, we hope that they collaborate with and help tell our story about discovery and exploration. At NASA, we’ve seen that when people first learn about space exploration and then interact with us, they often connect with it and then want to get others interested. That’s powerful. When the government shutdown a couple of years ago, we weren’t permitted to post anything on social media. But an amazing thing happened. Our community posted space news for us using the hashtag #ThingsNASAMightTweet. Over time and through engagement, we’ve turned some of our audience into ambassadors. – With private space companies like SpaceX, Blue Origin or Virgin Galactic entering the public consciousness, do you think the ‘space social media’ audience will grow? NASA is very supportive of commercial spaceflight. In fact, companies like OrbitalATK and SpaceX are currently contracted to deliver cargo to the space station. Soon, private companies will be flying our astronauts to station while we focus on sending humans deeper into space. The goal of NASA is to expand access to space. So, while right now it’s still primarily government agencies involved in space exploration, things are changing. The more people flying to space, and the more access there is, the more people will be interested. Social media is a great way for us to share space with the world. We look forward to that landscape expanding. – Has your view of social media changed since you’ve started running NASA’s social media? When I started doing social media for NASA, it wasn’t by choice. My manager Bob Jacobs thought that public affairs officers, which I was at the time for the space shuttle and space station at NASA Headquarters, should be posting content to social media as part of their jobs. He wanted us to think differently about what it means to be a communications professional. So, social media seems like just another channel to share NASA news. But I had an eureka moment while posting about a spacewalk and following the conversation on my posts. It was eye opening. There was a real conversation happening. People were asking questions, and the community was answering them. Then I hopped in as @NASA and started replying to questions. My entire career was about framing content for news media to report, and suddenly I realized that I was the content creator and that we no longer needed to beg reporters to tell our story about exploration and discovery. I think social media has been the greatest driving force to getting more and more people interested in space. NASA was always doing amazing things, but now people know about it. – And just off the record, when can we expect the first tweet from an extraterrestrial being? The universe is a big place. It would depend on where the tweet was sent from. If it came from within our galaxy, even at the speed of light, it could take anywhere between 5 years to many thousands of years before it reached Earth. Actually, if you want tweets from someone who is not on terrestrial Earth, there are astronauts currently aboard the Space Station who are posting every day about life in space. You can follow them here. John Yembrick is NASA’s social media manager and has the privilege to share the most amazing content in the universe. He has over 18 years of experience in communications and currently has one single goal: Make people care about space exploration. John has helped transform and propel NASA’s communication team into the 21st Century, leading one of the world’s most powerful organizations on social media. He uses emerging communications technologies to help advance NASA’s outreach activities and reach new audiences. John leads NASA’s vast social media team across the agency’s 10 field centers and hundreds of projects and programs. He oversees NASA’s 500+ social media accounts across 13 different platforms. Additionally, he oversees the NASA flagship social media accounts reaching over 30 million fans and followers, and manages the agency’s in-person NASA Socials events throughout the agency. Previously, John was the director of strategic communications for NASA’s Ames Research Center in California’s Silicon Valley. At Ames, he was the official spokesperson for the center and supervised its communications team, which consisted of video, web, photo, social media, FOIA, internal communications, community relations and the news media division. Before coming to Ames, John led communications for the space shuttle and the International Space Station at NASA Headquarters. Also, he managed NASA communications for international activities and partnerships with other federal agencies. Before joining NASA, John worked for the U.S. Justice Department, leading communications for the U.S. Attorney’s Office in Texas. Prior to that, he was a marketing manager for the U.S. Treasury, building relationships and accounts to promote Treasury securities. John is a passionate lover of science fiction and, conveniently, a huge space geek.